The College of New Jersey received a B.
Washington Monthly's ranking of 59 out of 224 of Affordable Elite Colleges - Overall Rank was a major contributor to this grade. "Tuition is low, classes are small, and "the academic environment is fabulous" at The College of New Jersey. Though TCNJ is trying hard to shed its suitcase-school image, students say this suburban campus is dead on Friday afternoons. The campus itself is lovely, and the dorms are "comfortable." Describe the type of student who should not attend The College of New Jersey and explain why. Describe the type of student who should attend The College of New Jersey. Why? What is a typical The College of New Jersey student like? Describe the type of person that should attend The College of New Jersey. They are usually from New Jersey but not always, they are very smart and sociable, and they lots of school spirit! What are the top 3 reasons someone should attend The College of New Jersey? You get an incredible education because the courses and professors push you to do the best work you can. You learn a lot of lessons and time management skills. What was a typical The College of New Jersey student like in high school? Describe the type of person that should attend The College of New Jersey. 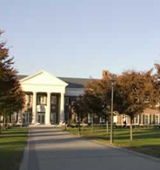 The typical high school student who will attend The College of New Jersey is above average intellectually, interested in a smaller campus and ready to further their education. An up-and-coming public institution with special focus on undergraduates, an emphasis more commonly found at a private school. Each year, students from every corner of the United States flock to this highly regarded university. Competition among biology majors has grown especially fierce. The College of New Jersey (TCNJ) is a highly selective institution that has earned national recognition for its commitment to excellence. Founded in 1855, TCNJ has become an exemplar of the best in public higher education and is consistently acknowledged as one of the top comprehensive colleges in the nation. TCNJ currently is ranked as one of the 75 "Most Competitive" schools in the nation by Barron's Profiles of American Colleges and is rated the No. 1 public institution in the northern region of the country by U.S. News & World Report. TCNJ was named the #10 value in public higher education by the Princeton Review in 2009 and, in 2006, was awarded a Phi Beta Kappa chapter--an honor shared by less than 10 percent of colleges and universities nationally. What are the top 3 things that students do for fun at The College of New Jersey? Play volleyball on their outside volleyball court. Go to events and activities held in the Student Center. Campus housing is available for undergraduates. Housing deposit due : May 1. Housing deposit is not refunded if student does not enroll.. No cars. Pets allowed in dorms. 57% of students graduated in the top tenth of their class. The average student pays $18,464 for tuition, fees, and other expenses, after grants and scholarships. Total stated tuition is $10,355, in-state and on-campus, before financial aid. Learn more about financial aid at http://www.tcnj.edu/~sfs/aid/index.html. Estimate the net price for you at http://www.collegeportraits.org/nj/tcnj/estimator/agree. 72% of students graduated on time. The typical (median) early career salary of The College of New Jersey graduates is $48,400, according to Payscale. The College of New Jersey participates in the NCAA Division III for college athletics. Want more info about The College of New Jersey? Get free advice from education experts and Noodle community members. I am an American citizen from New York going to high school in Egypt. I want to join the College of New Jersey and major in either political science or pharmacology. What are the requirements? How much is the fee?